The IRS allows business owners to deduct the ordinary and necessary expenses of operating a business each year. However, business owners also are required to capitalize the costs associated with acquiring, producing, and improving tangible property used in their businesses (such as equipment, supplies, buildings, etc.). Because these two rules had often proved difficult to reconcile, the IRS issued new final regulations in 2013 clarifying how the rules apply. Though these regulations are extensive and complex, small business owners should be aware of some of the opportunities they provide. The regulations delineate when you may deduct and when you must capitalize amounts paid to acquire, produce, or improve tangible property. Generally, amounts paid to improve a unit of property must be capitalized, while amounts paid for repairs and maintenance, as well as for materials and supplies consumed during the year, may be deducted. Qualifying businesses may elect to use a de minimis safe harbor that allows them to deduct costs incurred to acquire or produce tangible property in amounts of up to either $5,000 or $500 per item or invoice. The higher limit is available for taxpayers with an applicable financial statement (AFS). An AFS can be a certified audited financial statement used for nontax purposes, such as for obtaining credit. If you don’t have an AFS, you may still qualify for the $500 safe harbor if you expense amounts in accordance with a consistent accounting procedure in place at the beginning of the tax year. Use of the safe harbor does not limit the ability to otherwise deduct amounts paid for incidental materials and supplies or for repairs and maintenance. Rather, it is an administrative convenience to allow expensing of smaller items without analyzing each one under the relevant rules. You may deduct amounts paid for recurring activities that keep your business property in its ordinarily efficient operating condition. For buildings and their systems, you must reasonably expect to perform the maintenance more than once during the 10-year period beginning at the time the property is placed in service. For other property, you must expect to perform the maintenance more than once during the property’s class life used for depreciation purposes. Qualifying small businesses may also deduct the costs of work performed on a building with an unadjusted basis of less than $1 million. To qualify for the safe harbor, the business must have average annual gross receipts of less than $10 million. Additionally, the total amount paid during the taxable year for the building’s repairs, maintenance, and/or improvements may not exceed the lesser of $10,000 or 2% of the unadjusted basis of the eligible building property. The building may be owned or leased. Additional restrictions may apply for you to qualify for these safe harbors. Contact us if we can help you determine how the final regulations apply to you. If you run a small business, you already have a full plate. The last thing you need is for the IRS to question any of your business expense deductions. But it could happen. And that’s why having records that prove your expenses is so important. Even deductions for routine business expenses could be disallowed if you don’t have appropriate records. The rules are stricter for travel, entertainment, and transportation expenses. You should retain hotel bills or other documentary evidence (e.g., receipts, canceled checks) for each lodging expense and for any other expense of $75 or more. In addition, you should maintain a diary, log, or account book with the information described below. Travel. Your records should show the cost of each separate expense for travel, lodging, and meals. For each trip, record your destination, the dates you left and returned, and the number of days spent on business. Also record the business purpose for the expense or the business benefit you gained or expected to gain. 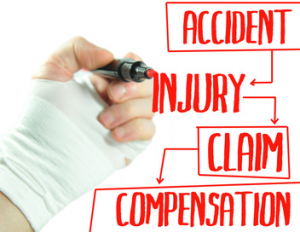 Incidental expenses, such as taxi fares, may be totaled in reasonable categories. Entertainment. Record the date the entertainment took place and the amount of each separate expense, along with the name and address or location of the place of entertainment. Note the business purpose for the expense or the business benefit you gained or expected to gain and the nature of any business discussion or activity that took place. Also list the identities and occupations of the individuals you were entertaining or other information that indicates their business relationship to you. If the entertainment was directly before or after a business discussion, be sure to indicate the date, place, nature, and duration of the discussion and the individuals who took part in both the discussion and the entertainment activity. For a business meal, you must prove that either you or your employee was present. Transportation. As with travel and entertainment, you should record the amount and date of each separate expense. Note your business destination and the business purpose for the expense. If you are deducting actual car expenses, you’ll need to record the cost of the car and the date you started using it for business (for depreciation purposes). If you drive the car for both business and personal purposes or claim the standard mileage rate, keep records of the mileage for each business use and the total miles driven during the year. Things can get tangled if you intermingle business and personal expenses. You can avoid headaches by having a separate business bank account and credit card. If you would like to become more aggressive on lowering your taxes and worry less about trying to manage this yourself, call 410-466-3779 and ask for Steven Graber. Our initial consultation is free for small business owners. QuickBooks Certified ProAdvisors are accountants that have gone through a rigorous training process developed by Intuit, the company that developed QuickBooks. And at the end of this training, a series of tests must be passed in order to become certified. Why Hire a Certified ProAdvisor? A Certified ProAdvisor can provide accounting and tax assistance well beyond a technical staff person at Intuit. Often, they have extensive experience that can save you precious time and money rather than trying to figure out something yourself. Second, a Certified ProAdvisor often knows what is currently available on the market today to solve your day-to-day challenges either with a QuickBooks product or another vendor that integrates with QuickBooks software. Surprisingly, there are many apps and software vendors that make QuickBooks operate more effectively and save you time. And third, a Certified ProAdvisor will attend conferences to learn what changes are around the corner. For example, the cloud accounting changes to QuickBooks are rapidly changing so staying abreast of these changes will be key to better serving your business needs. At Graber & Associates, we are QuickBooks Certified ProAdvisors and a Baltimore CPA Firm. We have been serving the Baltimore market since 1993. Our overall goal is to minimize your tax obligations legally and QuickBooks is a tool to help us minimize your taxes. To learn more, call 410-466-3779 and ask for Steven Graber, CPA. To better service you, we have two convenient offices, International Drive in the Inner Harbor and in Baltimore near Pikesville. 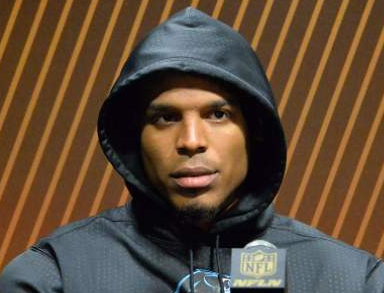 By now, we all know how frustrating Cam Newton was by losing the Super Bowl. To make matters worse, he actually lost money since the Super Bowl was held in California and he is subject to “jock taxes.” Technically, he has to pay the state of California more than his Super Bowl check. Learn the details. Although this case involved a special 50% depreciation allowance made available by the Gulf Opportunity Zone Act of 2005, the fact remains that even regular depreciation deductions can significantly reduce a company’s tax bill. If business property has a useful life greater than one year, the owner generally is prohibited from deducting the full cost of the property in the year it is placed in service. Instead, a portion of the cost may be deducted each year as depreciation. The depreciation rules apply to most types of tangible property, with notable exceptions being inventory and unimproved land. Because the definition is broad, taxpayers sometimes litigate how it should be applied to specific situations. In the decision mentioned above, the key issue was the “placed-in-service” date of two buildings that would eventually be used as building supply stores. 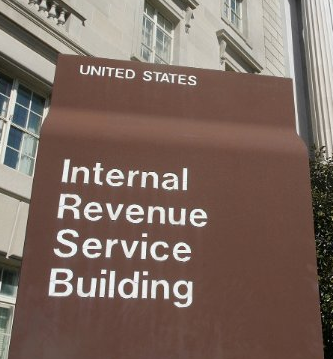 The IRS had argued that the “placed-in-service” requirement meant that the buildings had to be open for business for retail customers. The court disagreed, however, holding that the buildings were placed in service when they were substantially complete and limited certificates of occupancy had been issued so that workers could enter the buildings to install necessary racks and shelving. Businesses may be able to benefit from the tax law’s Section 179 provisions to garner faster write-offs for some of their asset purchases. Currently, businesses will be allowed to expense up to $25,000 of qualifying property placed in service during the 2015 tax year, with that limit subject to further reduction once the amount placed in service exceeds $200,000. *** In addition, a current deduction may be available for certain limited amounts paid for property that the business expenses for financial accounting purposes. We can tell you more about these “de minimis safe harbor” regulations. If you are tired of overpaying taxes, then call 410-466-3779 and ask for Steve Graber. Lower your overall tax liability using depreciation is right up our alley. Graber and Associates is a Baltimore CPA Accounting Firm with two convenient office locations, Downtown Baltimore and Pikesville. To better service our small business clients who use QuickBooks, we are Certified QuickBooks ProAdvisors. ** Calculation assumes the half-year depreciation convention. *** Congress kept the Section 179 limit at $500,000 for 2014 in late-year extender legislation. Tax extenders are a group of fifty tax breaks that apply not only to small businesses but teachers and individuals as well. What you need to be concerned with are those that apply directly to small businesses. While these tax breaks are temporary in nature, they can have a serious impact on how you conduct your business for the next year. In 2013, these tax breaks actually expired on December 31st, but the United States Congress retroactively extended the tax breaks into 2014. They typically do this at the last moment of the year, or right after the first of the new year, making it difficult for small businesses to plan ahead. 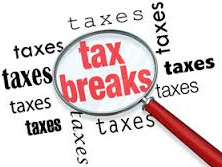 These tax breaks are also only renewed for one year meaning they will have need to extend them again before the end of 2014, so they can carry over into 2015. Currently, the tax extenders for small businesses include such items as a work opportunity tax credit of $1,375, a 15-year straight line cost recovery for qualified leasehold improvements for restaurant and retail establishments of $2,382, and bonus depreciation of $1,492. While not all tax extenders are good policy for the government or businesses, some of the tax breaks do help level the playing field and provide companies a way to define actual business expenses with less effort. If you are tired of overpaying taxes, then call 410-466-3779 and ask for Steve Graber. Our initial consultation for small businesses is free. Graber & Associates is a full service Baltimore CPA Firm. Our firm has been servicing small businesses and individuals throughout Baltimore for over twenty years. We provide two convenient office locations, Downtown Inner Harbor on International Drive and Park Heights near Pikesville MD. The AMT, also known as the alternative minimum tax, is one of the most hated taxes in the United States and for good reason. For those individuals above a certain threshold of taxable income, or corporations, trusts, and estates, the AMT creates a higher tax burden beyond that imposed on those that fall under the threshold. 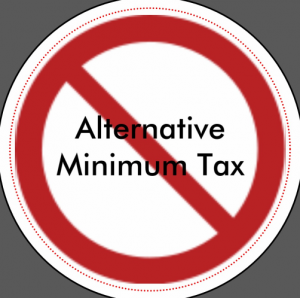 The alternative minimum tax was first originated with the thought that those individuals and corporations in the higher tax bracket were able to find and utilize large tax breaks that the middle class could not. It was decided that the AMT would ensure that those with the highest incomes would pay a minimum tax rate regardless of the tax breaks and loopholes they may have available to them. 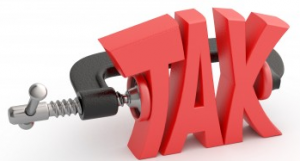 The current AMT was enacted in 1982 and is applied to all taxable income when an individual or entity’s taxable income falls above a pre-determined level. In 2013, that level was tied to inflation, or CPI rates. As it stands now, the alternative minimum tax rates are 26 and 28%, and to determine whether or not you are subject to regular tax rates or the AMT rates, you would be required to calculate your taxes twice. This can become problematic as the AMT does not allow the same deductions as the regular tax does, so your adjusted income levels will be different. The bottom line is you will be required to pay the higher of the two rates. It can become quite complicated to determine if you are subject to the AMT as well as what deductions are allowed and which are not. Often, the best course of action is to contact a qualified tax accountant to walk you through the process. The AMT is hated for good reason. It’s complicated and some would say creates a separate class of citizens that is being penalized for their financial success. If you are tired of overpaying taxes, call 410-466-3779 and ask for Steve Graber. Our goal is to minimize your tax liability within the legal limits. As a business owner, it can be difficult to delegate important tasks. When you complete them yourself, you know they will be done correctly and in a timely manner. Even so, if you want your business to grow, and keep expenses low, there are three tasks that you should consider outsourcing. By outsourcing your website and graphic design, you will have access to an expert in the field, on demand. The person or company you outsource to will have the equipment, experience, training and knowledge to provide you with design concepts that would otherwise be beyond your reach. You will also receive a professional product which is doubly important as your website is your online business card. This is one area that you want and need a professional’s assistance. As your company grows, the complexities of your payroll grow as well. In addition to saving time and money, payroll is one area of your business that the government takes great interest in. Payroll specialists make it their job to stay current in government regulations which means they will keep you and your company compliant. In addition, payroll companies can provide you and your employees with an added layer of security. This can reduce the risk of embezzlement, identity theft, and interference, by an employee, with company records for financial gain. Much like payroll, your accounting and tax returns are not an area of your business where you can afford errors. Without specialized tax knowledge, you run the risk of missing deductions leading to paying higher taxes than necessary or to making errors that result in penalties. One of the main benefits of outsourcing any task is that while you may pay more per hour for the task to be completed, you will save much more money, in the long run, than if you hired a full-time employee when you take into consideration salary, benefits, taxes, health insurance, as well as the overhead to provide space for the employee to work. In the end, outsourcing can be a cost efficient way to expand your business. If you would like to outsource accounting, tax reporting or payroll processing, then call 410-466-3779 and ask for Steve Graber. Our initial consultation if free. Graber & Associates is a Baltimore CPA Firm with two convenient offices. We service all types of small businesses throughout Baltimore and surrounding suburbs.